Jan. 8, 2019 - The Iranian regime’s destructive policies and its expenditures on terrorism and weapons-building continue to deal heavy blows to the economic infrastructure of the country. Recent news pertain to an entire chain of factories and production units being shut down as a result of the mismanagement of the country’s economy by regime officials. A considerable number of the mentioned companies are in the automobile parts industry and are faced with critical problems. The number of unemployed in this industry is not limited to the mentioned figures. 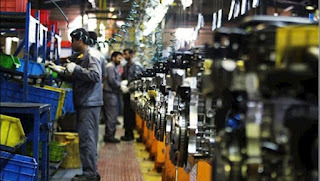 The Iranian regime’s media are warning against the possible unemployment of 450,000 parts workers because of the crisis in the country’s automobile manufacturing sector, a deadlock for one of the largest industries. There are approximately 800,000 workers working in this industry and if the crisis continues, half of these workers will join the expanding masses of unemployed Iranians. 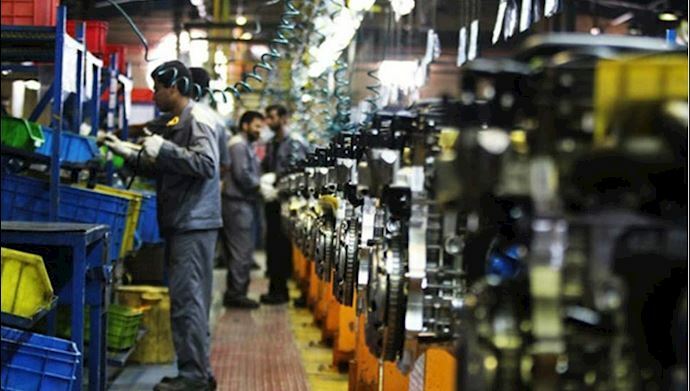 An executive from Beshel Company, one of the principal manufacturers of automobile parts in Iran since 2016, says that the company used to produce 1,300 engine cylinders and cylinder heads every month. But in 2018, the company’s production has reduced to 350 cylinders per month.